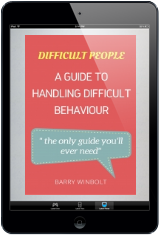 This book has over 100 proven techniques, tactics and tips for handling difficult behaviour. You'll be amazed hoe a few simple shifts can allow you to be in control and master conversations so that things go your way. 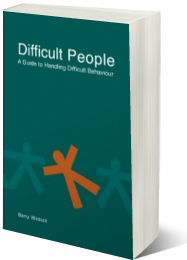 This book is the only guide you'll need for handling difficult behaviour. Accessible, readable and informative, it contains essential 'how to' information for solving relationship problems. It will give you new insights into those ‘impossible’ situations that cause so much anguish, stress and lost time. Over 200 highly readable pages of information and practical tips to help handle those nasty situations that obstruct us at work, interfere with our sleep and disrupt our lives. It is clearly written, highly readable, and filled with credible information and guidance for those wanting to become better at dealing with challenging behaviour in others. 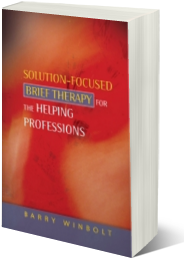 This book will be invaluable to all those in the helping professions who are either already familiar with SFBT and want to improve their knowledge, or are looking for new and effective ways to communicate with and help the people they work with.